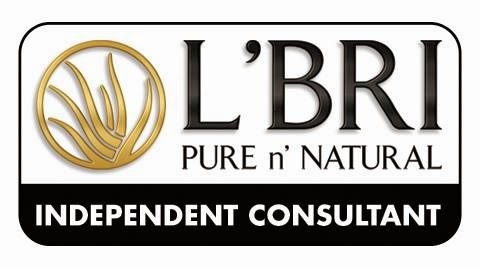 L'Bri Pure n' Natural with Lisa is a Sponsor of Wahm Connects 4th Birthday Giveaway Celebration. She will be giving away a a Body Butter. My favorite product is the L'Bri Facial masque. Good choice! The Facial Masque is one of our most popular products! With a base of aloe, enriched with botanicals, herbs and vitamins and NO harsh chemicals and detergents, the Facial Masque really does wonders for your skin! We are running a Hostess special for February...it just happens to be the Masque ;) Let me know if you'd like more information. If you're ever looking for something and need help, feel free to let me know. I have never used the L'BRI products, but I'm excited about the body butter. I used body butter everyday after my shower. Best of luck to you! The Body Butter is wonderful!! I like the pure aloe vera jelly. I'm outside for work all the time, and the aloe vera helps with sunburns! I need the Facial Masque! Big time!!! Shelton...if you'd like to order one, my website is www.ladonoian.lbri.com...just register as a new customer and you're on your way. Orders of $60 or more get free shipping and a special sample of your choice! The perfect finish oil free foundation looks excellent! The Perfect Finish oil-free Foundation would be great to try! It goes on very smoothly and you can barely tell it's there. We also have our Dual Action Powder foundation on sale now too! The Gentle Moisturizer is my favorite. I think my favorite would be the Gentle Cleansing Lotion! Here's a tip for you Gentle Moisturizing fans: Add some water to your fingertips when applying the moisturizer. The aloe based formula will help bring the water into your skin!